Monitoring deforestation in the Amazon. Deforestation causes roughly one-fifth of global carbon emissions. Four years of rainforest deforestation is the equivalent to the carbon footprint of every air flight in the history of aviation up to the year 2025. Deforestation is a major source of species extinction: 70% of the earth’s land animals and plants live in forests. Reducing deforestation is an urgent environmental priority. Imazon, one of the most respected and innovative environmental research groups in the Amazon, is on the front line of that struggle. 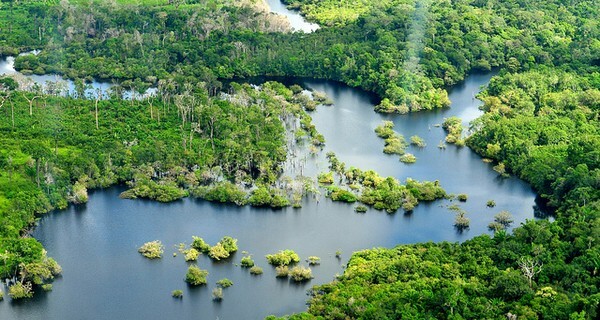 Imazon created the first independent deforestation monitoring system for the Brazilian Amazon. It uses technical mapping, satellite imagery, direct observation and systematic collection of primary data surrounding natural resource use and conservation in the Amazon. It reports deforestation rates monthly, and thanks to the political pressure those reports have generated, the Brazilian government has been forced to adopt tougher approaches to stop illegal deforestation, focusing on “hot spot” municipalities identified by Imazon. With more than 400 publications, Imazon is one of the most productive research groups in the Amazon. Most of these studies are available free of charge. The institute was founded in 1990, in the city of Belém, Pará, Brazil. In 21 years of operation Imazon has published 170 scientific journals. The institute has also published 48 books, and more than 150 technical and public policy articles on the state of the Amazon rainforest. Imazon is not just a research group. It actively promotes the search for better solutions to forest management and local economic development. Imazon uses digital technology to collect and analyse data, and to make its findings and analysis widely available. Its reach and impact has been hugely amplified with the help of the web. Once a lonely outpost, it is now continually connected to a global network of climate change researchers, keen to analyse its data.